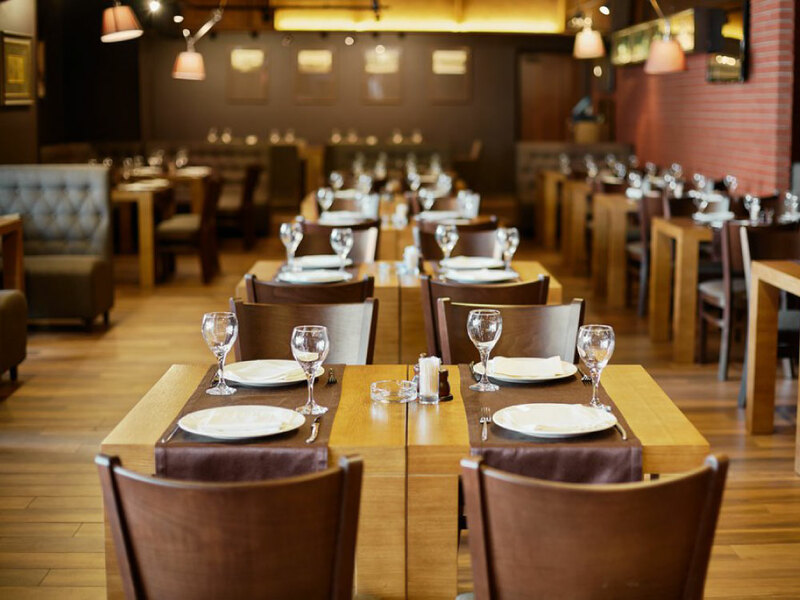 We provide expert restaurant cleaning services in Norwich. We use locally-sourced cleaners that have been fully DBS checked and have each signed a confidentiality contract to ensure that any sensitive information they handle remains confidential. We have never missed a clean with 100% attendance. We provide a daily cleaning service for offices, as well as expert deep cleaning when required. We maintain all types of flooring found in offices, and our cleaners are trained to use all the different types of machinery required. Our cleaners are often required to clean out of restaurant hours e.g. the morning of a lunch time service and work as part of a large team to get the full clean completed as quickly and professionally as possible. We undertake our own risk assessments to comply with H&S requirements for our staff and have communication with our staff at all times for their safety. Colour coding is important to ensure no cross contamination across site. Using the correct colours in each area, means that a cloth that has been used to clean a toilet will never be used to clean a kitchen surface. Spring Clean Services enforce our colour coding by training our cleaners well to make sure that this never happens. Every new client that signs up to Spring Clean Commercial will receive a professional FREE deep clean of their restaurant worth up to £500. There are huge service benefits to transferring to a contract cleaning specialist. - A flexible and comprehensive cleaning service which can be tailored to meet the needs of your restaurant.- A wealth of experience and knowledge concerning all cleaning matters.- Links with other services to support the achievement of consistent standards.- Practical hands on support in the event of an emergency.- Independent cleaning inspections on a regular basis. Each cleaner is DBS checked in our teams that clean in medical service settings. They are additionally trained to work alongside medical staff to maintain the highest standards in cleanliness and infection control. Spring Clean Commercial Ltd receives an instant notification. It enables us to monitor that the job is carried out to the required standard under contractually-agreed terms. It also has built-in health and safety considerations for our staff, who are lone workers. As the client, you also have a communication log with the cleaner and can flag up any concerns or particular areas to focus on. Colour coded cleaning is the process of designating colours to cleaning equipment in certain areas of a venue, increasing hygiene throughout a business or home.The coding system is from the National Colour Coding Scheme to ensure hygiene best practice and is in place so that cross-contamination does not occur. If you would like to come into a workplace that smells fresh and is sparkling clean then we will work out of hours to ensure that happens. With our automated time keeping service you can trust us to ensure that our cleaners turn up on time and stay for the duration that your contract time is geared up for. No sliding off early and only doing half the job! If you are looking for a cleaning company that you can trust to do the job properly, with regular quality checks from senior supervisors to ensure that you are happy, then Spring Clean Commerical is the company for you. If you are looking for a cleaning company that you can trust to do the job properly, with regular quality checks from senior supervisors to ensure that you are happy, then Spring Clean Commercial is the company for you.We have an oversight process that ensures standards are set, maintained and reviewed at periodic times.Our reputation hinges on your satisfaction and we put a high value on the quality of service we offer our clients and have many processes in place to ensure that the quality is of the highest standard. If staff leave early, arrive late, or if something unscheduled happens, Spring Clean Commercial Ltd receives an instant notification. It not only enables us to monitor that the job is carried out to the required standard under contractually-agreed terms but also has built-in health and safety considerations for our staff, who are lone workers. If they slip, have a fall, and do not clock out, we are alerted. As the client, you also have a communication log with the cleaner and can flag up any concerns or particular areas to focus on. Every new client that signs up to Spring Clean Commercial will receive a professional FREE deep clean of their office worth up to £500. We offer a full janitorial service which includes a regular clean on a daily, weekly or monthly basis – depending what you as the client require – with our bespoke service specifically designed to meet your needs and work in with your business day.We offer a free consultation and quotation for our services, which are of a consistently high standard at a competitive price. If you would like to come into a workplace that smells fresh and is sparkling clean then we will work out of hours to ensure that happens. Between Monday and Friday, If you just require us to clean when you are present then that is no problem either. We would still use our automated service to ensure our employees are there on time and for the right amount of time. They would simply work around you with as little disruption as is physically possible. The process begins when we first meet for a free consultation and a walk-through of the premises to put together a specification for your exact cleaning needs and then draw up a quotation, leading to a start date. All chemicals and equipment are included in the quote and we can provide consumables such as hand-towels, bin liners, toilet paper and soap. We will give our cleaners a full briefing and walk them through the business to make sure that expectations are set and our checklist compiled.This is an ideal time to present our staff to key members of your team and take on board any Health and Safety briefings from the business as required. Copyright © 2018, Spring Clean Commercial. All rights reserved.